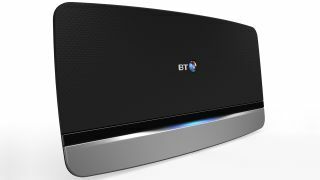 Telecommunications giants BSkyB and Vodafone are considering partnering in an effort to fight BT for dominance in the TV and broadband sectors. The companies have allegedly held high-level secret talks aimed at tackling their biggest rival, although they are not so secret now that The Sunday Times revealed the discussions, citing "senior sources" at the firms. The talks cover a possible deal on Sky's popular sports and movie channels, in addition to teaming up for a high-speed broadband network, though the latter is unlikely to be nationwide. The clandestine chats are a response to significant investment made by BT to roll out a nationwide broadband service and a rival sports package, costing £3 billion and £2 billion respectively. The new fibre-optic network is expected to cover 90 per cent of homes across the UK. BT formerly enjoyed a monopoly in the telecommunications sector, but lost market search as new technologies were released. It has managed a dramatic turnaround over the last year or so, however, giving its competitors a run for their money. Perhaps the best example of BT's shifting fortunes is the £897 million deal it reached in November to broadcast exclusive live football matches from both the Champions League and Europa League for three years starting in 2015. The move resulted in BSkyB losing a whopping £1.5 billion of its share value. At the time a spokesperson for BT said it had "shaken up" the TV market in the UK, and it is now clear that this was no exaggeration. BSkyB and Vodafone are not giving up without a fight, however, and it looks like they are ready to team up for round two in the ring. How do you choose the best business broadband?